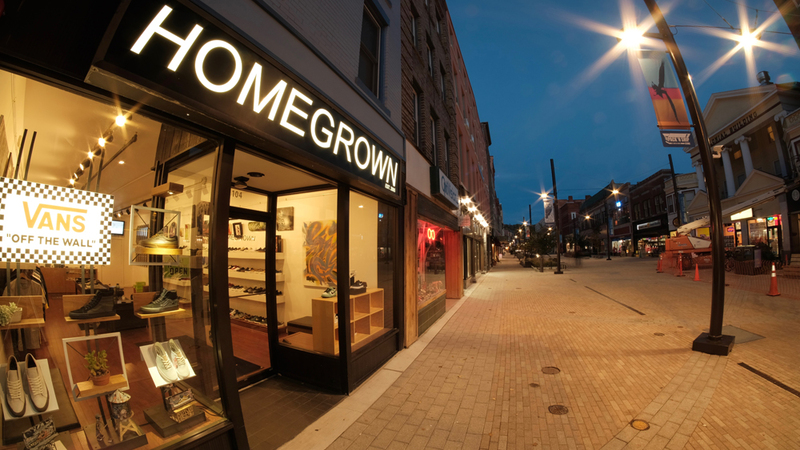 Since opening in 2005, Homegrown has been the only skateboarder owned and operated shop serving the Ithaca NY area. We carry a full range of the highest quality footwear, hardgoods, and softgoods, as well as offering our own brand consisting of decks and softgoods. We play an active role in the local skate scene working with the city on all skatepark related projects, and hosting annual events. The shop also doubles as a gallery space for local and regional artists. Shows rotate monthly / quarterly, feel free to reach out to us if you’re interested in displaying your work in the shop.